(MLSP) My Lead System Pro review - A genie in the lamp? You are here: Home / Attraction Marketing / (MLSP) My Lead System Pro review – Is it the solution to all your problems? after being introduced to it (and actually used it, generated leads and made money with it) over 2 years ago. I want to assure you that this is going to be brutally honest and thorough. This is the second time that I’m giving My Lead System Pro (or MLSP, formerly MLM Lead System Pro) a shot after canceling the service about 18 months ago (Read this article to understand why I stopped the first time around). The bottom line is – If you want to generate your own network marketing / MLM / direct sales leads using the Internet, this MLSP review is a must-read for you. You’ve probably seen or heard the incredible rags-to-riches stories… from massive struggle to amazing success seemingly overnight by My Lead System Pro’s top leaders. – A guy went from being just over broke, having $200 in his bank account with zero Internet marketing experience, to making $150,000 in the first six months! – Another guy claimed that he used My Lead System Pro to generate 30 leads per day for free and personally sponsor as many as 58 people and earned over $15,000 in a single week! – Yet another MLSP member stated that in the first ten months using MyLeadSystemPro he’s created over $100,000 in his business! Does this sound all too familiar? And more importantly… are they REAL? 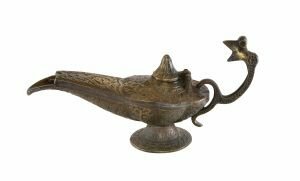 Is My Lead System Pro the genie in the lamp that will make all your wishes come true? Since the FTC says it is most definitely illegal to make false income claims (or any kind of claims) while promoting any product, any service or any business opportunity… we have to assume a company like My Lead System Pro that’s been in business for almost 3 years and growing rapidly only publishes true and verifiable stats. The more important question really is whether the average guy or gal that signs up for MLSP duplicate those types of success upon reading another My Lead System Pro review or watching another testimonial? Well, why don’t we examine the facts and take a real close look. What MLSP Is – In the network marketing / MLM / direct sales industry, the #1 commodity is… (Drum roll please) LEADS. Hot, qualified leads. And the bottom line about leads is you either BUY them, or you GENERATE your own. 3) Start promoting your MLSP-powered website to your target market (burnt-out networkers, in this case) and let the tool do its magic, including automatic follow-up! Then your prospects watched the same video testimonials and read the same “rags-to-riches” stories… and sign up! We just cracked the secret code to making a ton of money in MLM using the Internet! It is not an end-to-end system. MLSP is nothing more than a tool, albeit an extremely powerful one. It is one of several parts that makes up a complete training & support system. We’re in an industry that is as close to a 100% people business as there’s ever been and probably ever will be! And like any tool, it does nothing for you if you don’t use it! It’s very easy for someone to watch the amazing testimonials and THINK that the tool is the solution to all their problems! MLSP is not a magic pill or the genie in the lamp that makes your every wish come true! You still need to promote your MLSP-powered pages, videos, webinars to your potential prospects. You still need to get on the phone with them to build relationships and provide some support. You still need to understand the psychology of recruiting and sponsoring into your primary business. And yes, that’s even with a powerful tool like MLSP that makes a certain part of your business easier! The MLSP community includes a library of some of the best Internet marketing training created by very well-known and highly-accomplished marketers in the industry. MLSP also hosts webinars regularly to provide additional support and updates to bring you the most cutting edge marketing tactics. Remember those success stories we talked about in the beginning? They and other top earners and affiliates of My Lead System Pro will tell you that they really just studied the training library and took massive action to created the results they have. That is the best way to leverage My Lead System Pro. 1) If you are a total newbie in the network marketing / MLM / direct sales industry and not very computer literate, be careful about spending too much time on MLSP. 2) Stay focused on your primary network marketing business instead of the idea of earning 19 streams of income. The affiliate commissions are great, but your #1 priority is exploding your primary opportunity. 3) Invest in your business and tool up . Don’t be cheap when it comes to investing in tools in your business. Internet Marketing tools provide some of the highest leverage when it comes to generating leads and sales. 4) Be realistic about what MLSP is and isn’t (read the review above). The more you understand that concept, the more like you will be able to maximize My Lead System Pro to explode your primary business. With all that said, if you feel My Lead System Pro is for you – Sign up here, watch the step-by-step videos to set it up, study the training library and take massive action. The magic of My Lead System Pro will happen right in front of your eyes, and you will become its next success story! Hello, stumbled on this site. Nice work, just thought I’d leave a quick note to say hi and join the conversation. I’ll swing by later. Howdy very cool website!! I’ll bookmark your site and take the feeds additionally?I am happy to search out so many helpful information here in the publish, we’d like work out extra strategies in this regard, thank you for sharing. . . . . .